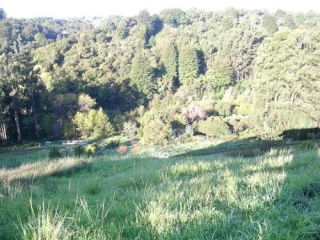 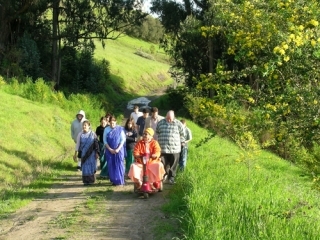 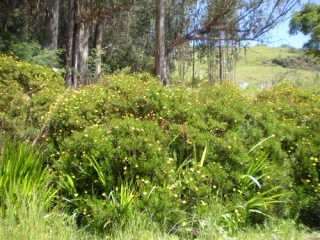 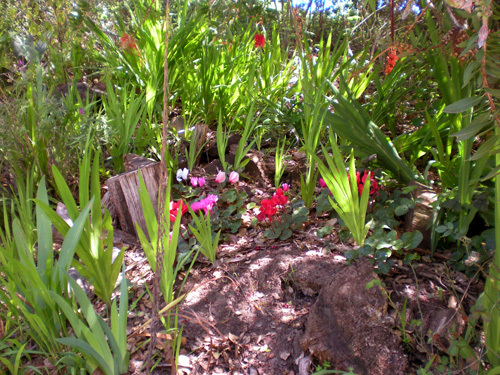 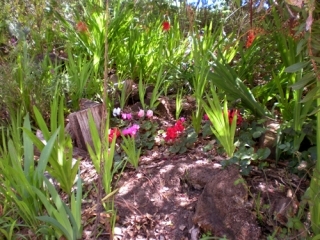 When you visit the Santa Cruz Seva Ashram you will be embraced by natural beauty. 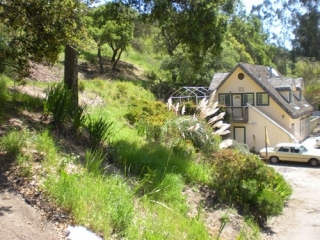 Nestled into the foothills of the Santa Cruz mountains, the Ashram is home to a vast array of flora and fauna including deer and cotton tail rabbits. 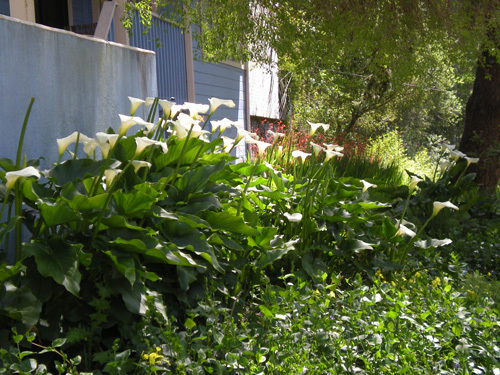 As for birds, you may see red-tail hawks, owls, quail, starlings, swallows, blue jays and several varieties of hummingbirds. 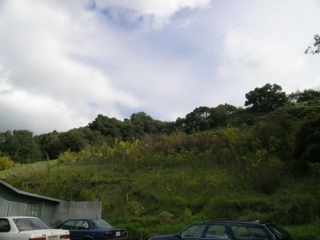 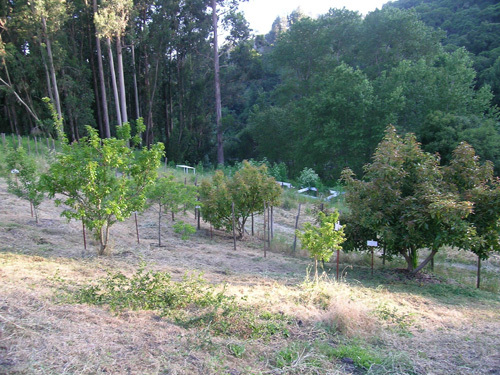 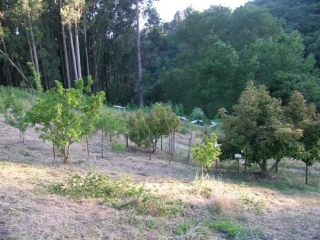 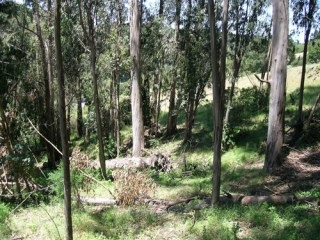 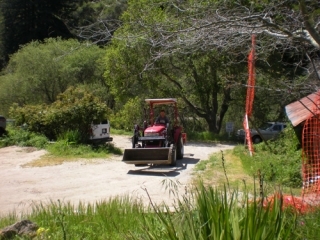 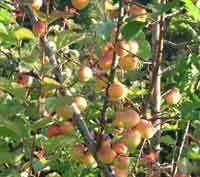 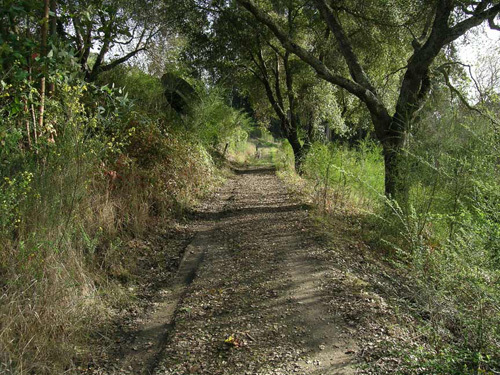 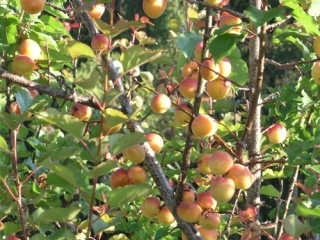 We have beehives, a fruit orchard, two Eucalyptus groves and plenty of Live Oak, Aspen, Redwood and Willow trees. 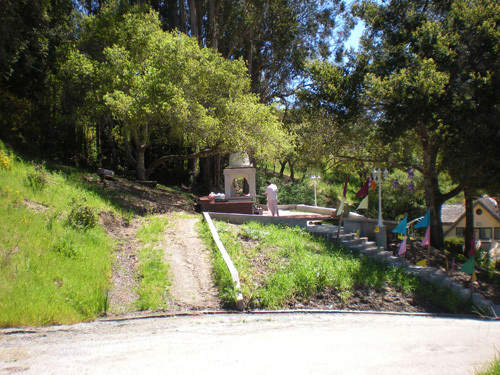 On a clear day, follow the Via Govinda hill-crest trail for a breath-taking view of the Monterey Bay. Even more striking than the natural environment is the full and rich cultural heritage of our devotional lifestyle. Originating in India in the holy land of Navadwip on the banks of the sacred Ganges river, the caring way of devotional life is practiced here on a daily basis. 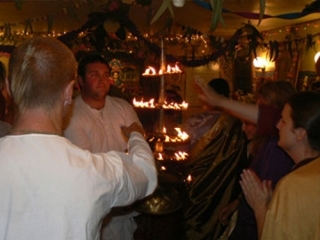 Our members and visitors are spiritual people with affectionate hearts. 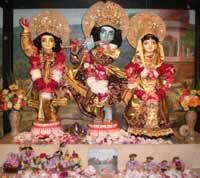 They are dedicated to a life engaged in devotional service or Bhakti-yoga. 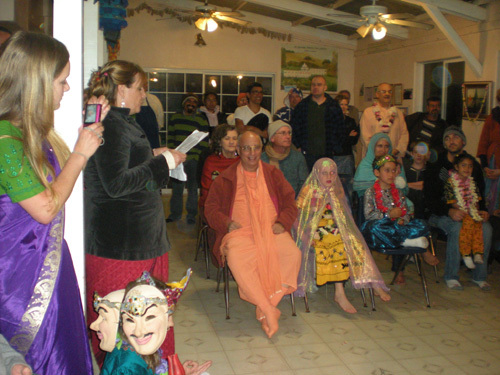 There are all kinds of people in our community ranging from monks to families with young children. 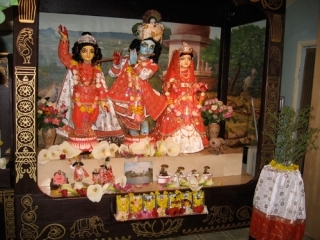 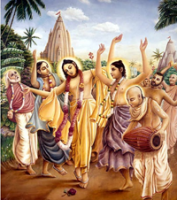 At the Ashram we worship the Deities of Sri Sri Guru Gauranga Gandharvika Giridhari (Sri Guru, Sri Chaitanya Mahaprabhu, and Sri Sri Radha Krishna). 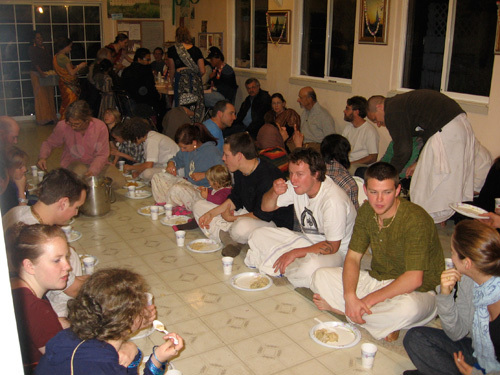 There are always seva or service opportunities and many varieties of Prasadam (blessed foods) to honor. Our cooks are famed throughout the world for preparing incredible feasts. We invite you to join us every Sunday at 11:30 a.m. for chanting, a special talk and a wonderful vegetarian feast. 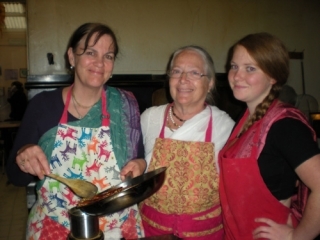 We look forward to meeting you in person.